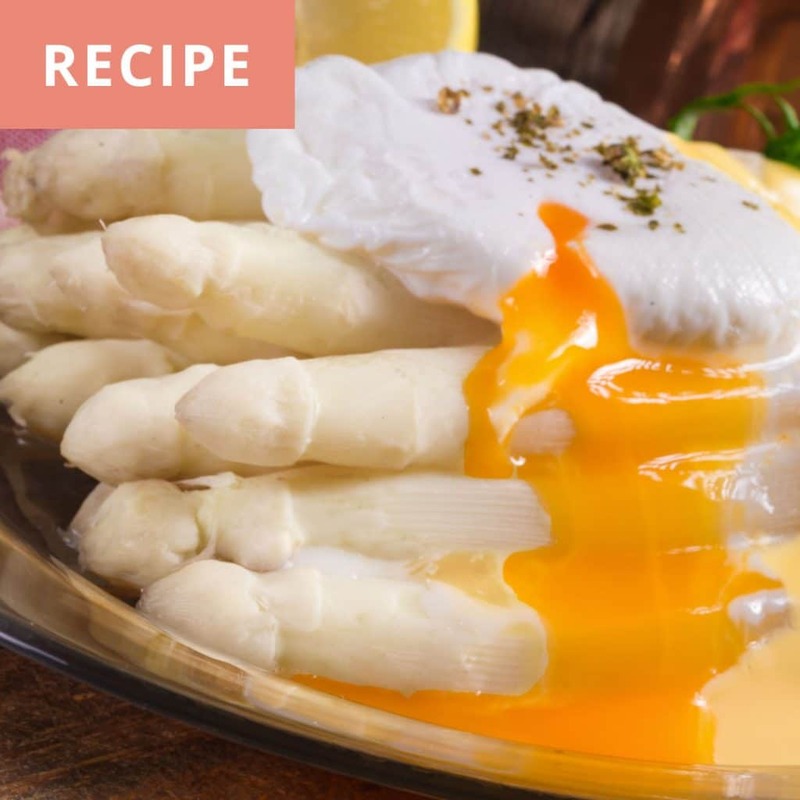 Follow the videos below to learn the recipe for White Asparagus, Poached Egg and Mousseline Sauce. How to serve white asparagus? White asparagus is in season so grab them while you can. 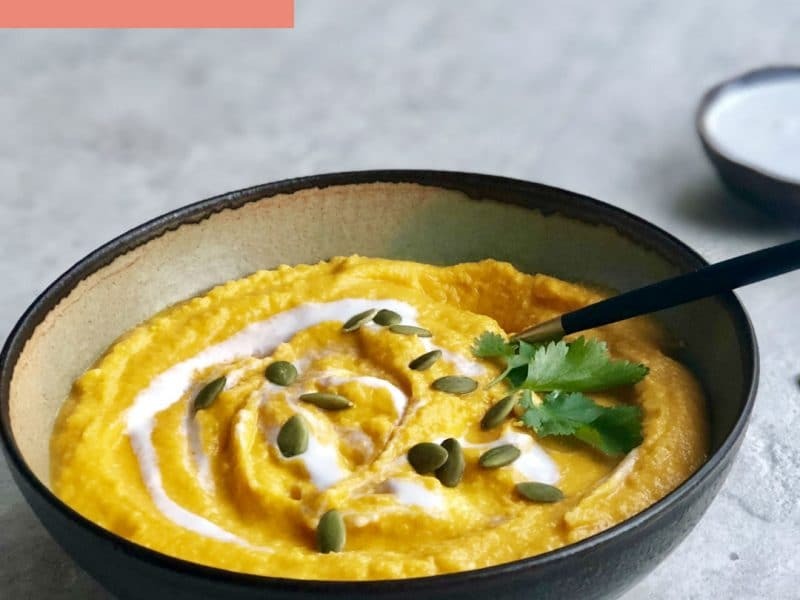 They’re delicious and full of nutrients and can be prepared in so many ways. This recipe calls for mustard vinaigrette, a “mousseline” sauce or a French sauce called “beurre blanc”. White asparagus can also be used to make a creamy soup or velouté and the heads of asparagus used in a warm salad. Tip: combine white and green asparagus for twice the flavor. If the green asparagus is thinner than usual, just fry it in olive or coconut oil for a minute or two. Asparagus is delicious when slightly under cooked and crunchy. 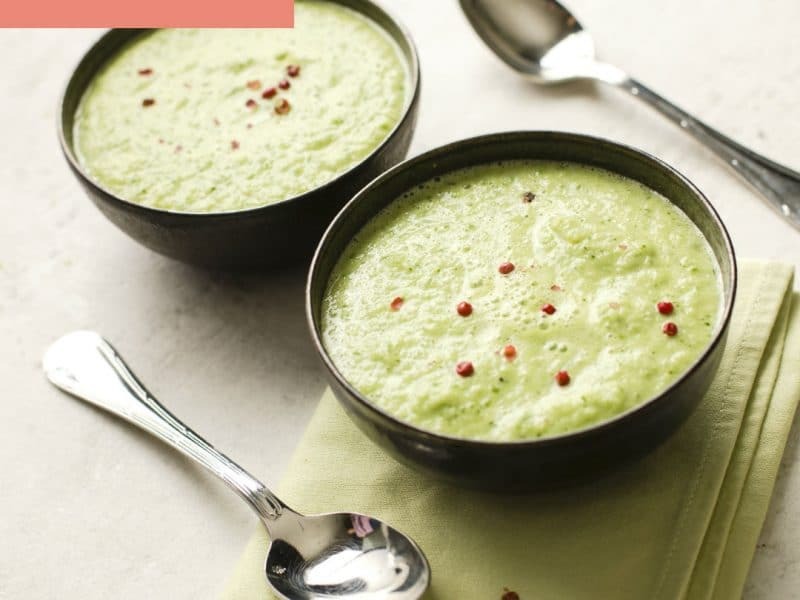 This recipe, which is prepared using “the Asparagus the Flemish Way” (Asperges à la flamande) is a gastronomic specialty of Flanders, a Flemish region of Belgium. It is served with chopped hard boiled eggs mixed in warm butter. It’s not very light but very tasty! Watch out not to OVERCOOK the asparagus! 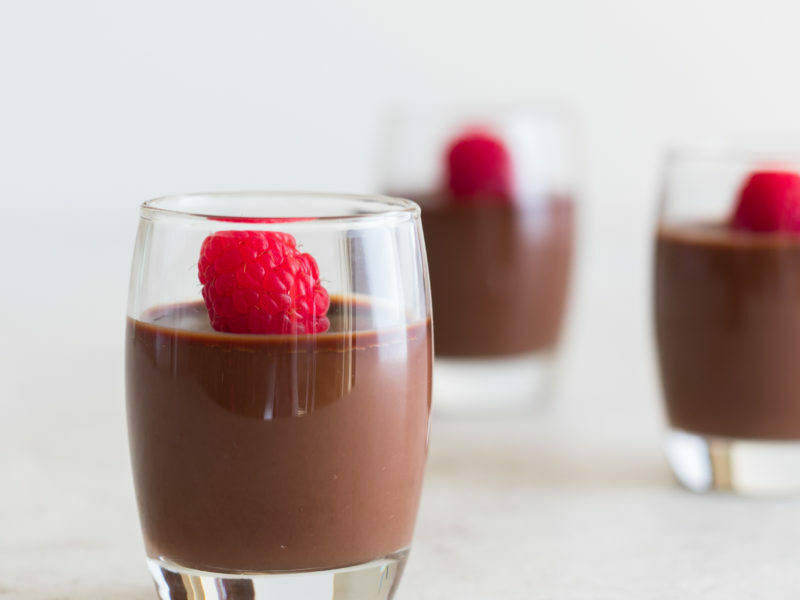 By doing so you will diminish their color and delicious texture. I like to use a steamer (Thermomix). They can also be cooked in salted water for 10 minutes, time will vary with the size of the asparagus. Asparagus is good for your health! They are of the same family as garlic and onion and full of vitamins A and B, phosphorus and manganese. The urine odor after eating asparagus comes from the sulfur derivatives. Not to worry — perfectly healthy. Bonus, they are excellent for the digestive system and even aphrodisiac! Not exactly light but all is well in moderation! 1. In a saucepan, mix the egg yolks, vinegar, salt and pepper. 2. Place the pan on a bain-marie and gradually add the butter in fractions, beating with a whisk until the texture of a mayonnaise is obtained. 3. Add the lemon juice. 4. Add whipped cream and stir into the egg/butter mixture. …or you have the option of a light sauce. 3. To finish, add the egg whites to the mixture then the condiments of your choice. How To Make The Perfect Poached Egg And Never End Up With A Sloppy Mess Again? I’m sorry I couldn’t find a video in English for you to follow on the preparations of the poached egg. Watch the video and find my translated instructions below. Water needs to be slightly boiling, not too much. Eggs need to be super fresh. The man in the video pours white vinegar into the water, it helps the coagulation of the egg. NO SALT because it prevents coagulation. Secret: Place the fresh egg 10 seconds in the boiling water. Then break it in half above the pot. Egg white will not run because egg has been precooked 10 seconds. Place in cold water to stop the egg from cooking further. Serve cold on a salad or serve it right away, warm and so melty inside! Delphine Remy is a certified Holistic Nutrition and Eating Psychology Coach with a strong passion for food, nutrition, wellness and life. Click here to begin your journey to a healthier you.